I think everyone probably knows I grew up on a farm. But most people don’t know that my mum died when I was fourteen. She was a hard-working farmer’s wife and she had a heart attack. A couple of people call me Shezza sometimes, and sometimes Clarkie. Clarkie reminds me of my nephew – that was his nickname when he raced motorbikes. Once upon a time I would have said spiders! My nana tried to get me to overcome my fear when I was little by getting me to hold a wolf spider from the wood pile. I refused and ran off screaming. I’m better now – I don’t scream nearly as much. Fast at first, then slower as the work gets better. Focused, intensive, explorer, splashing, perservering. Lyra in the Northern Lights books by Philip Pullman. She’s very brave and resourceful. When I think of her, I think of light and dust, but also her with the armoured bear, Iorek. I’ve often thought about what my daemon might be! Probably a squirrel (would have been a wombat but I can’t imagine a wombat sitting on my shoulder). I’m planning to read the books again this year. I’d like to go back to around 1946 and see my parents getting married. I feel like I hardly know anything about them. My sister, Karen. She taught me to make the most of life, to live inside every moment and experience it. Don’t stand back and say, “I can’t do that.” From that has come my determination to make my life about experiences and following my dreams, and not about accumulating stuff (although I am a hoarder, which goes to show everyone has contradictions, I guess, but I hoard things that have meaning for me). I think reading has made me into a writer more than anything. That desire to create my own worlds and characters and live their lives through what I write. My mum always read, so I got that from her. Then when I travelled overseas in my early 20s, I wrote huge long letters to my dad every week, and then wrote other things, and eventually poems and stories and novels. To be honest, that would drive me insane. Once I’ve read a book, I can’t read it again until I have forgotten most of the plot (and the ending). Same with movies. If I had to pick one book (and I’m cheating a bit here because it’s about 20 volumes) it would be the Oxford English Dictionary. I used it a lot at the library when I was researching language for Pirate X and it was so intriguing to find all these old words we no longer use. That would keep me busy for a very long time. 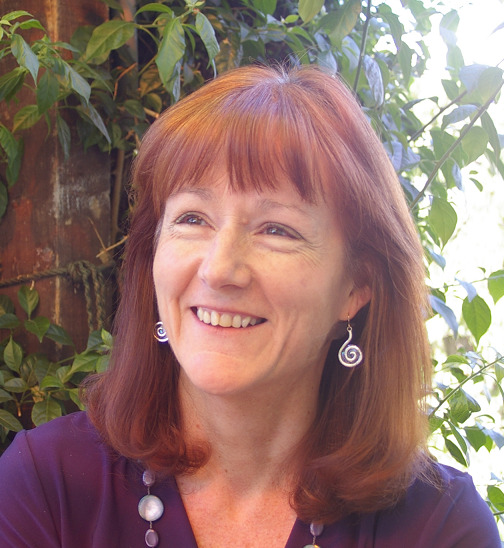 Sherryl Clark is the author of more than 40 children's and YA books including her latest release, Dying to Tell Me, published in the US by Kane Miller and released in Australia on 1st February 2014. 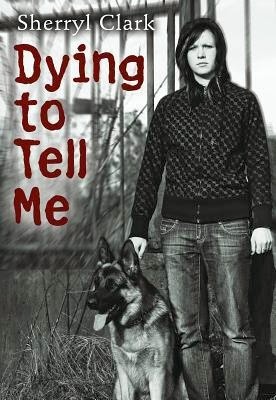 You can find more information about Dying to Tell Me here including links to a sample chapter, book trailer and teaching notes. Visit Sherryl's website for more information about her books and other writing projects.